New Emails Sent - Triggers when new email sent (first step or follow-up). New Email Replied - Triggers when a person replied. Inbox Category Set for Reply - Triggers when reply marked with a new inbox category. New Person Opt Out - Triggers when a person clicks opt out link. Mark as Replied - Marks prospects as replied in some campaign. Create\Update Person - Creates\Updates a person. Create\Update Person and Push to Campaign - Create/Update a person and push it to campaign. 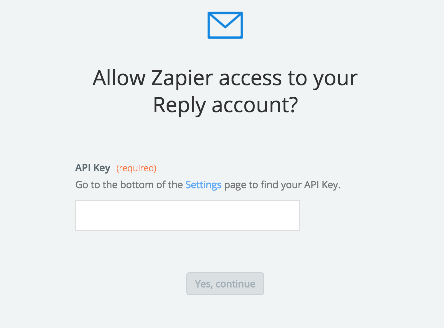 To get started with Reply on Zapier, first you will need to click to connect your APPNAME account to use with your Zap. Next, you'll be asked to name your Reply connection and enter your API Key. 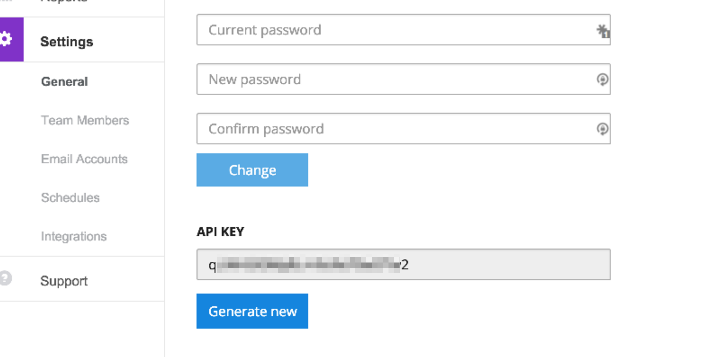 To locate your API Key in your Reply account, please go to Settings -> General and copy & paste your API key into required field in Zapier. 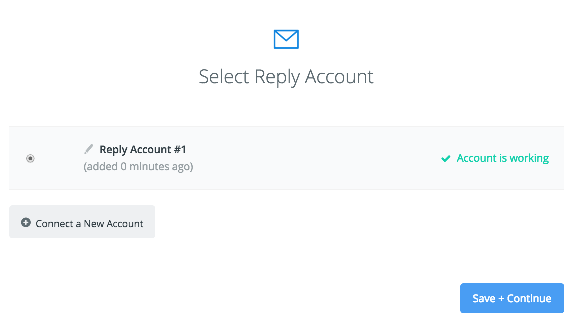 If your API was entered correctly your Reply account will now be successfully connected.